Advent commenced this Sunday. It is a wonderful opportunity to prepare our hearts and minds for Christmas. Advent is a time when we are encouraged to fast and to make some genuine sacrifices. Being mindful to eat, drink and behave in a moderate manner. Mark Twain wrote, “Water taken in moderation cannot hurt anyone.” We should be prepared to let go of harmful habits. We should pause often and experience our dependence on God, our Creator. Letting go brings true freedom, it allows us to rest near God in prayer. In this way our faith in Jesus is strengthened and his Spirit is able to act within us. The purple colour associated with Advent is also the colour of penance. The faithful should fast during the first two weeks in particular and receive the Sacrament of Reconciliation. The colour of the Third Sunday of Advent is rose. This colour symbolizes joy and represents the happiness we will experience when Jesus comes again. The Third Sunday is a day of anticipatory celebration. It is formerly called “Gaudete” Sunday; Gaudete means “rejoice” in Latin. During this Advent season I hope and pray that you and your family find an opportunity to celebrate and rejoice in the birth of our saviour, Jesus Christ. 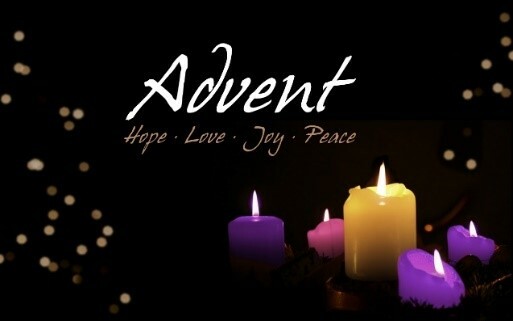 Advent also signifies the beginning of the new liturgical season “Year C’. The Advent wreath is blessed and the community lights the first candle. The use of the Advent Wreath goes back centuries in Christian liturgy. Each part has significance: The circle has no beginning and end and so the symbol of God’s eternal love for all of us. The evergreen is a sign of hope, the purple is a sign of penance and preparation. The first candle represents the Old Testament prophets, the second John the Baptist, the third Mary and the fourth us. In line with the theme of penance there are no flowers during the season of Advent. Over the centuries, it was commonly believed that Mary, as the mother of Jesus, was without sin. This view was formalised by Pope Pius IX when he defined the dogma in 1854 after consulting the bishops of the world. 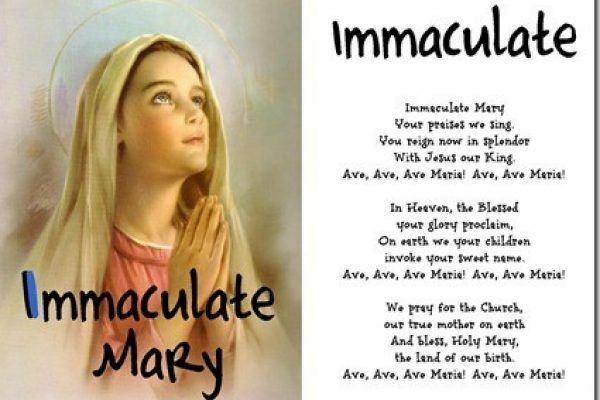 The annual solemnity is celebrated on 8th December, nine months before the feast of Mary’s birth on 8th September. In 1858, Our Lady appeared to St Bernadette at Lourdes and identified herself as the Immaculate Conception, thus confirming the dogma proclaimed 4 years earlier. 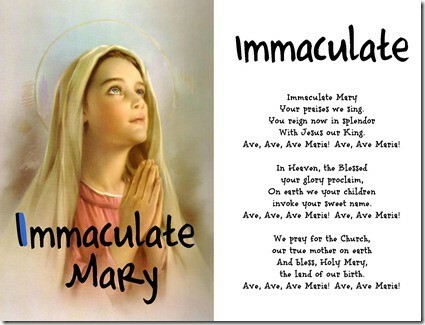 “O Mary conceived without sin, pray for us who have recourse to thee”. On the 3rd of December each year we acknowledge International Day of Persons with Disabilities. The aim of this day is to promote empowerment, and helping to create real opportunities for people who are differently abled. This enhances their own capacities and supports them in setting their priorities. “Empowerment involves investing in people – in jobs, health, nutrition, education, and social protection. When people are empowered they are better prepared to take advantage of opportunities, they become agents of change and can more readily embrace their civic responsibilities”. (https://www.awarenessdays.com/awareness-days-calendar/international-day-of-persons-with-disabilities-2018/) Let us be mindful of those who are differently abled and seek to support empower with greater opportunities. Providing students with the opportunity to learn outside the classroom through our outdoor education programme is a valuable part of the growth of all students. Over the past two weeks Y10 students were provided with their annual five day camp experience while a number of students commenced their Duke of Edinburgh certification. These opportunities are only made available through the dedicated staff. Special thanks to Mr Levy (Y10 Pastoral Coordinator) and the Y10 camp team: Mr J. Hall, Mr B. Hall, Mr M. Bourke, Mr Kennedy-Gould, Mr Zammit and Mr M. Margerison for their diligence throughout the camp. Also to Mr De Souza who is leading our Duke of Edinburgh programme. Great opportunities to learn outside the classroom. The College has been blessed with many talented sportsmen. This week our Intermediate basketball team, led by Mr Kilbourne and Mrs Birkett, will participate in the National Basketball Championships in Melbourne. This is when the best of the best from around Australia meet to see who will become the National champions. We wish all the players every success as they represent the College in this prestigious competition. The Annual Awards Evening is on this Thursday, 6th December. This is the College final opportunity, in 2018, to celebrate and acknowledge the outstanding academic, liturgical, social justice, sport and cocurricula achievements of our students. All students receiving an award have received an invitation to the Annual Awards Evening. If you are unable to attend please send your sons Pastoral Coordinator an email or a letter indicting your unavailability. Congratulations to Killian Doyle who is the recipient of the prestigious Victor Chang Science Award. This is awarded to students across all schools who have demonstrated an outstanding application and commitment to the science courses. Killian is a diligent, highly motivated and committed student who has demonstrated his passion for the sciences. We congratulate Killian on being the St Dominic’s College award the Victor Chang Science Award. It is with great honour that we congratulate Wade Bocking and Joshua Emerson who have been selected for ArtExpress. This is the second consecutive year that we have two students who have been selected for this prestigious award. 8,770 students submitted Bodies of Work for the HSC Visual Arts Examination. 402 were nominated for ARTEXPRESS, while only 240 bodies of work were selected to create nine exhibitions. Wade Bocking’s body of work, Salvaged will be exhibited at the Art Gallery of New South Wales, and later at the Tamworth Regional Gallery), while Viren Joshua Emerson, Infinitesimal will be exhibited at the Hazelhurst Arts Centre. Special congratulations to Mr Lewis who was not only the teacher of Wade and Joshua but also is the Coordinator of the Visual Arts faculty. Hopefully, this is the beginning of many more successful stories for the 2018 HSC cohort. Outstanding Fees. As we move into the final week, could parents please attend to overdue school fees as soon as possible. Whilst many families have contacted the College Fees Office, a number of families are yet to do so. There are numerous ways in which you can pay your fees and these have been highlighted in previous newsletters and also appear on the back of your invoices. Families who are having some difficulties with their school fees can simple contact the College to discuss any financial problems that may have arisen and make arrangements that they can commit to. The College has a very clear process to follow for any families who may be encountering some financial hardship. I ask that you contact either Ms Powell or myself to discuss your fees should you be unable to finalise your account. NO Sport; Full College Summer Uniform. Next week will be the last Weekly Address for 2018 where I will be able to give you a summary of the Annual Awards Evening and all the staffing updates for 2019.